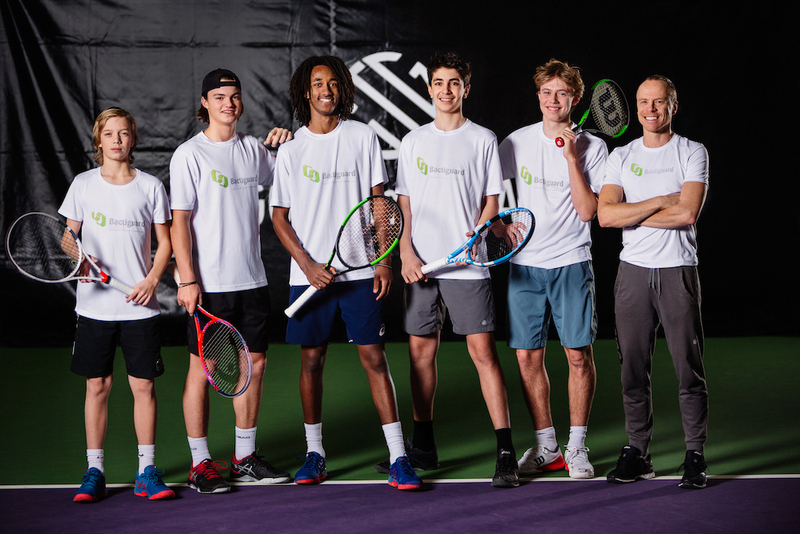 Bactiguard’s CEO Christian Kinch has been tennis enthusiastically since childhood and says: “The combination of bringing some of the world’s best tennis players and inspiring other young people to focus on health and sports is the goal of this unique venture. We are very impressed by these young players and want to help them realize their dreams, “said Christian Kinch. Team Bactiguard players are Henrik Bladelius, Måns Dahlberg, Tsegai Gebremeskel, Arslan Temirhanov and Isak Strömberg. Responsible coach is Johan Hedsberg. Players from the original Team Bactiguard like Elias Ymer, Mikael Ymer, Daniel Windahl and Fred Simonsson have all played and represented Sweden in the Davis Cup.